Welcome to the GardenersHQ advice and article section. From this page you can navigate to interesting articles on garden topics such as butterfly gardening, plants that are deer resistance, flowers to grow for autumn/fall colour, growing regions, frost dates, and similar. Articles specific to plant diseases, container/ small space gardening, landscaping, and growing organic products will be covered in the future in dedicated sections of the site. Timing sowing and planting to the time of frost is critical for sucessful gardening. Not everyone has the time or energy to look after plants that are difficult to grow. This article takes a look at plants that are easy to grow and take little effort to maintain. Most people love butterflies, and find them a welcome addition to the garden. This feature takes a look at plants to grow to attract butterflies to your garden. 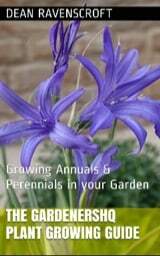 This articles gives advice on plants to grow that will bring colour into the garden in the autumn /fall. Advice on how best to deadhead flowers, an important technique for all gardeners. Notes on invasive species, and why this site contains information on how to grow plants that may not be desirable in your area. Thinking of having your own garden, but not too sure? Well here's some good reasons why you should take up gardening.